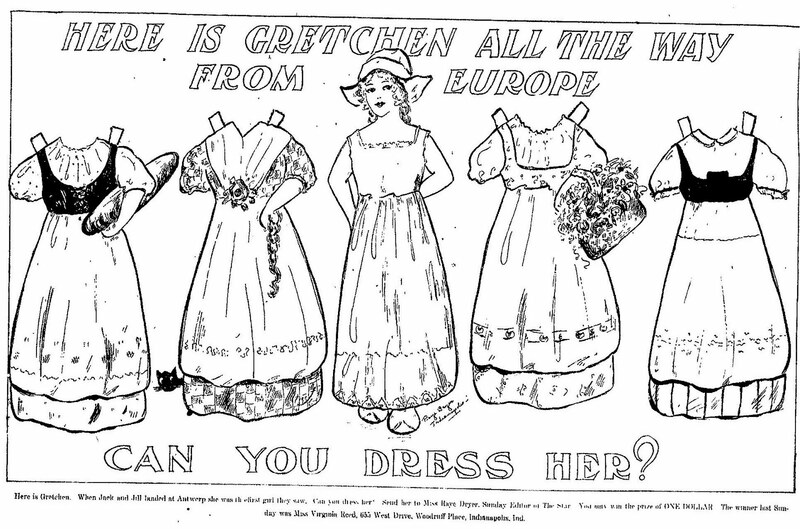 The coloring page is from an Illinois newspaper dated March 14, 1924. 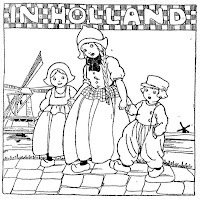 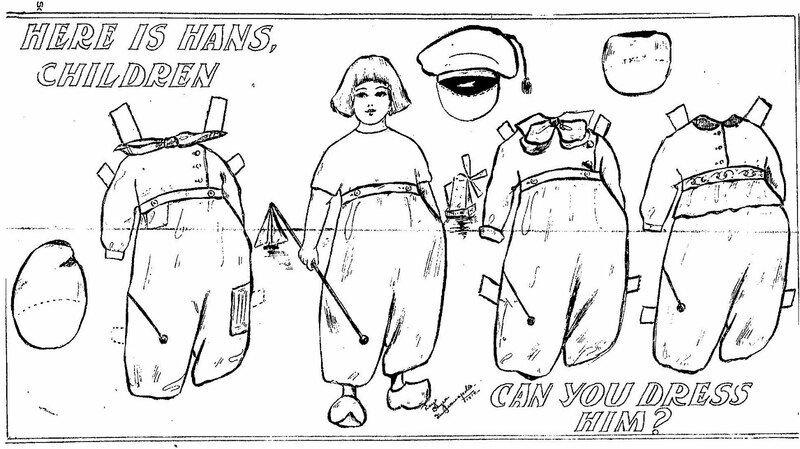 The paper dolls, Gretchen and Hans, are from the Jack and Jill paper doll series by Raye Dryer that appeared in an Indianapolis newspaper on February 01, 1914 and February 08, 1914. 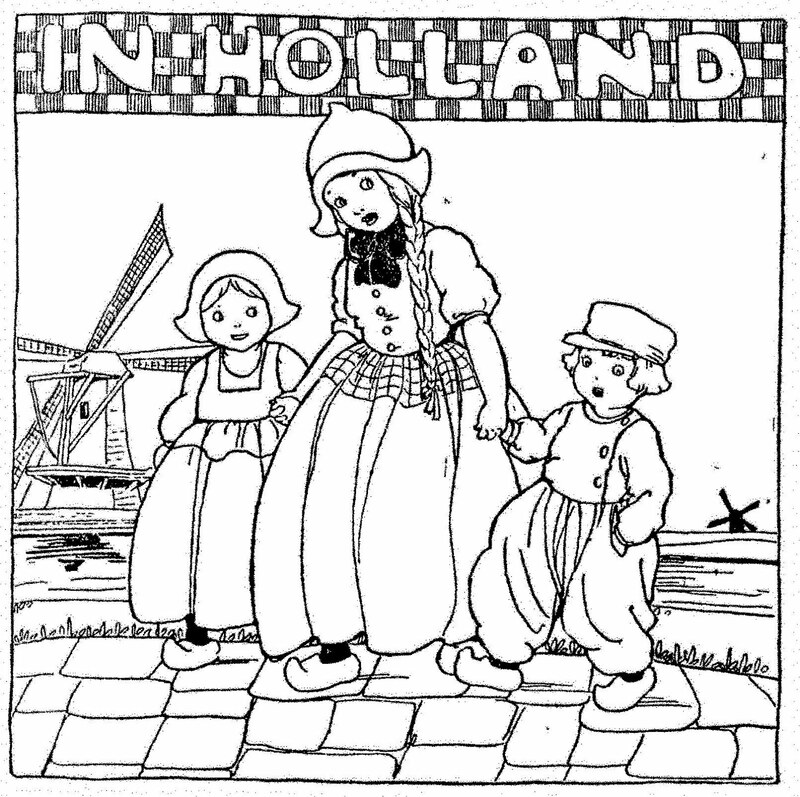 The paper dolls in the series have a lovely look to them - such sweet faces.